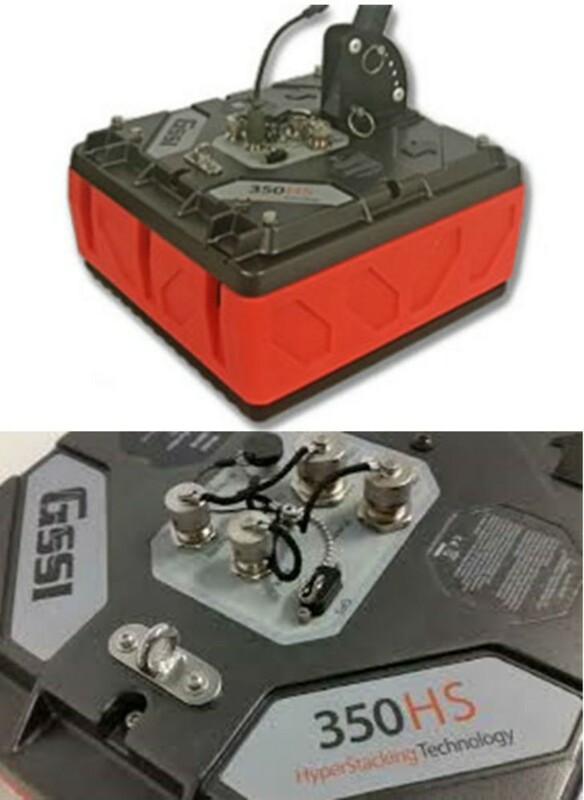 The 350 HS antenna meets even the most stringent GPR emissions regulations, including those of the U.S. Federal Communications Commission (FCC) and the European Telecommunications Standards Institute (ETSI), while operating at similar or faster speeds than conventional systems. The state-of-the-art 350 HS digital antenna offers a clearer image than a traditional GPR antenna and a 50 percent improvement in depth penetration. It is designed to work seamlessly with GSSI’s SIR 4000 control unit and with the customized Panasonic Toughpad FZ-G1 control unit used with the UtilityScan DF system. With a center frequency of 350 MHz and a depth range of 0-12 meters (0-40 feet), the compact 350 HS weighs 5 kilograms (11 pounds) and is roughly 33.5x31x15 centimeters.